in the Windsor & Essex County area. Hon. Minister Tassi spoke about current Federal Government initiatives including: the National Housing Strategy, Poverty Reduction Strategy, the Framework on Palliative Care in Canada, and changes to OAS age eligibility. 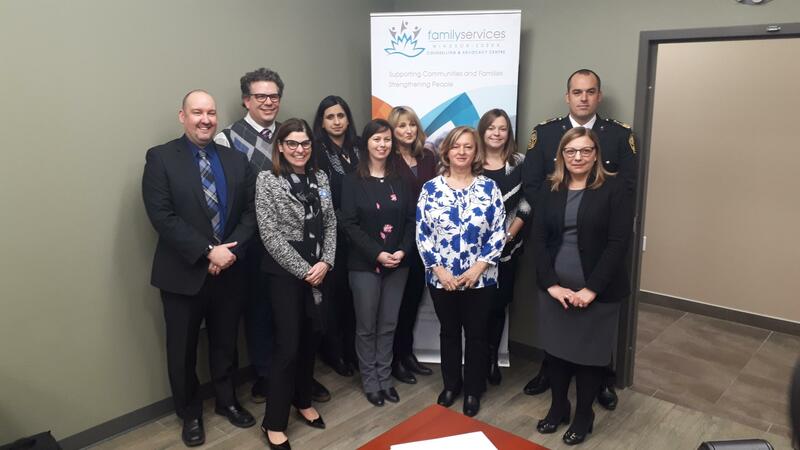 Minister Tassi thanked the group for coming together to highlight needs, trends and also innovative programs, such as the Essex-Windsor EMS Vulnerable Patient Navigator Program and FSWE’s Financial & Elder Abuse Education/Outreach Programs. We are thankful to Hon. Philomena Tassi for visiting our community to discuss active aging, aging in the community and the New Horizons for Seniors Program. Click here for the Minister of Seniors Mandate Letter (August 28, 2018). See CTV Windsor-Essex (Jan 24/19 18:20 minutes) for highlights from the Minister’s visit.